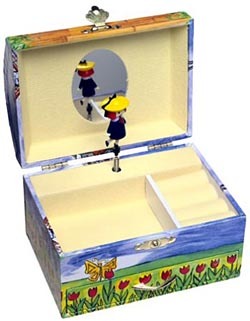 Our Madeline Jewelry Box is just precious. Open the top and Hats off to Madeline plays while Madeline twirls around. There's plenty of room for all your jewelry and a separate drawer for all your extras.